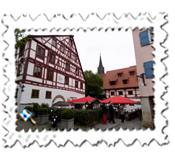 I took to Ulm, close to the Bavarian border, for the first May Bank Holiday. 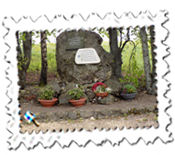 I had had two ideas before committing to Ulm, the first being a possible visit to Stalag Luft III, scene of the World War II Great Escape and Ulm, to visit the grave of Erwin Rommel, the so-called Desert Fox because of his exploits in North Africa during World War II. Ulm won for two reasons: a fellow bell-ringer and I found that we had a common interest in Rommel and he wanted me to go and, secondly, the logistics of reaching a fairly remote place in Poland to come across Stalag Luft II weren’t entirely practical in three days which would have included a lot of travelling. After a night in the pleasant Doubletree by Hilton close to Heathrow, I took the first Lufthansa flight to Munich from the reasonably-recently opened Terminal 2. It was my first time in the new building and was pleasant although it wasn’t especially quick. Possibly because of the insistence on checking yourself in and then waiting for a human body to come along when difficulties arose, in my case having checked in the day before only to find myself seemingly following the same process when I already had what I thought was a boarding pass in my hand. Hey ho. I made it but it always seems far worse when you’re stumped and know that there are people waiting behind you. Arrival at Munich was on time and everything went smoothly so I made the earlier train to Ulm which I hadn’t necessarily expected. Well, almost. There were admittedly signs on the platform monitor suggesting possibly a change of trains but the train came in with Ulm Hbf on it and, in the absence of any ticket collectors, I thought no more of it until, at Teutlingen, everyone disembarked. 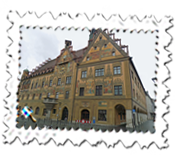 Having established that I had to leave from platform 5 – which offered nothing about Ulm – the ticket office said that, yes, it was platform 5 but that I had to trek half way back again to Munich and then change at Augsburg where there was a three minute transfer between arrival and departure to Ulm. I made it but it added another two hours to the journey and the last stretch was spent in the unfortunate company of a group of boisterous men one of whose number was particularly unruly and tiresome. Anyway, having put up at the Intercity Hotel in Ulm which is right on the Ulm Hbf platform, not even I could get lost. Unwittingly, I had even seen my room from the train. The hotel was nice, very convenient and they served a good breakfast at, in my case, extra cost. Even with a room overlooking the station, there wasn’t much noise even allowing for my deafness! 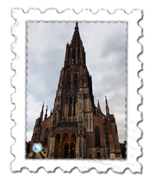 Ulm is well known for being the birthplace of Albert Einstein and for having the tallest church in the world. The minster was most impressive and I was impressed that my new camera managed to fit it all in from fairly close distance. 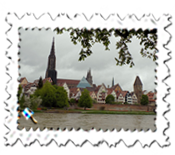 Ulm’s Altstadt with a little of the Danube flowing through was most pleasant and I ate well on both nights in restaurants in this older area. Like many German places, the meals were an excellent size for little outlay. People may find it slightly odd going to visit the grave of a German general but, as many books testify, Erwin Rommel has continued to enjoy an excellent reputation and I was curious to find out more by visiting Herrlingen, a suburb of Ulm and just ten minutes train ride away where he spent the last two years of his life. 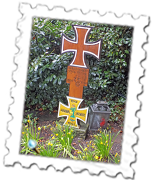 The church where Rommel is buried is just a couple of minutes walk from the station and his plot is adorned by well-maintained flowers and a replica of the Iron Cross with the Afrika Korps motif underneath. His wife, who survived him by around a quarter of a century, is buried within the same plot. 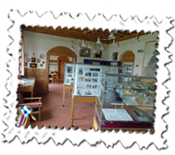 I had tried unsuccessfully to make a reservation by writing to what turned out to be the excellent Rommel Archiv or museum which is within his summer house, the Villa Lindenhof, close to the church. It was no easy business so, in the end, I had to try out my German and pick up the ‘phone – and was told to send an email... Anyway, all was well and, as the museum is by appointment only, I was confirmed at the most convenient time which I could have hoped for. My guide, Frau Laur, was highly knowledgeable and obviously cared about her subject. She spoke to me for a full hour – entrance to the museum is free but donations are welcome and I was very happy to leave what I hope was a decent donation – and, okay, her German was slightly too quick for me but I picked up a bit and the, I should think, rare photos, maps and memorabilia did the rest. 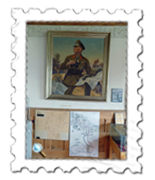 It is a two-room museum devoted to Rommel’s exploits in the First World War in the first room and the Second World War in the larger second room. Photography was allowed and I came away more than satisfied for myself and my fellow bell-ringer who had been as excited as me about my visit and, although ensconced in Swindon, was, as he put it, “there on my shoulder”. Not that it finished there. Frau Laur kindly drove me to the Rommel Memorial which is the spot where he was forced to take his own life in late 1944. 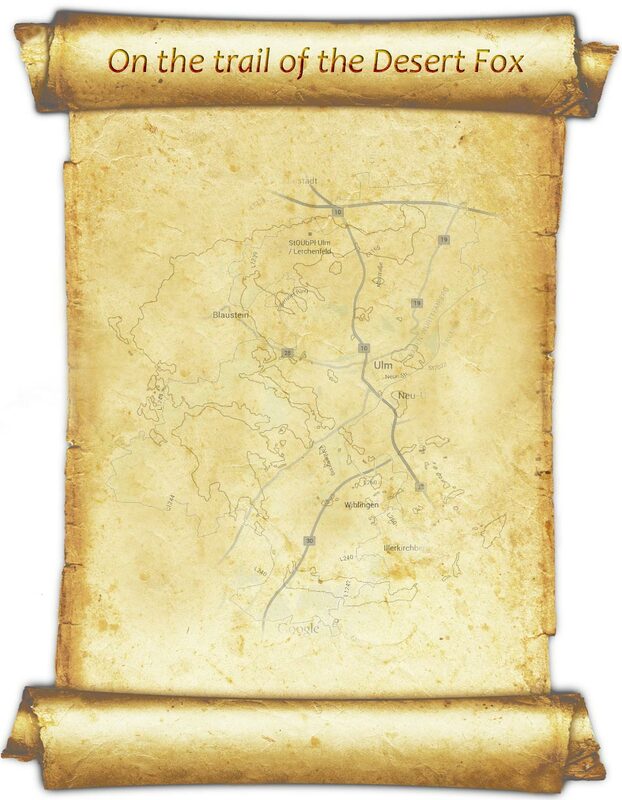 It is a short walk from his main residence and is set in fields just off the road. The memorial is simple but it, his grave and the Villa Lindenhof museum ensure that his memory lives on and my three hour visit was just adequate to fit in everything fully and appreciatively before the short train ride back to Ulm. The afternoon was spent in the busy Wonnemar spa on the shores of the Danube. Lots flocked to its bath and saunas and, remembering my last visit in Slovenia when I was told by a well-meaning lady that I needed to spend more time lying down away from the heat of the saunas, I took a book and managed to read a good deal during the afternoon. Like sunbeds around the swimming pool, seats and deckchairs near the sauna go quickly and were reserved by towels etc despite sign discouraging this practice but, generally, I was fairly lucky. Aufguss time was a remarkable event with loads of people congregating in the two saunas set aside for this towel-waving event every hour or so but previous experience has proved too hot for me so the book won. I was up fairly early the following day for a train to Stuttgart from where I flew back to Heathrow with British Airways. It had been a successful weekend but of course I would have preferred longer as there was little break from the travelling but everything went smoothly on the return.